Coming this Fall from Hallmark Publishing! Jenny knows she isn’t the princess type. Sure, she’s friendly and caring, but with her clumsiness and lack of self-confidence, glass slippers would only make her trip. When Dom, the cute guy she runs into in the park, turns out to be the prince of San Noelle, she figures he must not be her happy ever after. But a mysterious countess grants Jenny’s one wish, and she finds herself married to this handsome prince! Unfortunately, at the stroke of midnight on Christmas night, her life will go back to normal. 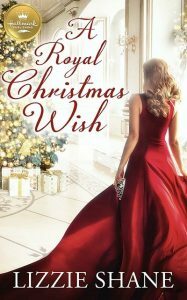 In funny and touching ways, Jenny navigates royal traditions the best she can. But even as she grows closer to Dom, the clock is ticking. 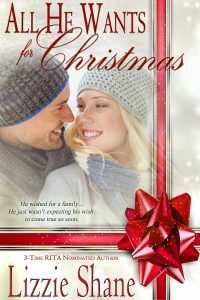 With love and a little holiday magic, could she somehow make the enchantment last forever? Do you love paranormal romance? 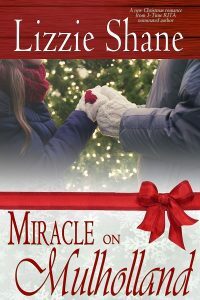 Did you know Lizzie also writes paranormal romantic comedies and steamy shape-shifter romances under the name Vivi Andrews? Check out her paranormal titles at www.viviandrews.com.